Back to school has started and I love making gifts for my kids teachers. 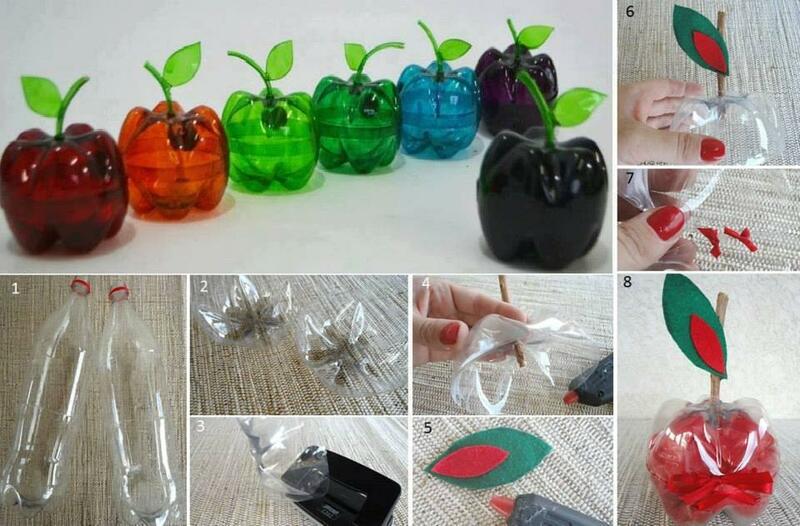 I found this adorable each to do craft using re-purposeed empty plastic bottles. They look super easy to do and you can fill them with treats from the dollar store. I think these would make great Teachers Appreciation Gifts. Please Feel Free to Share with your Friends!!! the only directions are the steps listed in the picture above. when I found this project the picture was the only thing listed.